The grid is changing rapidly. Whether it’s the increase of renewables onto the grid or greater congestion and weaker grid conditions, early engagement with the proper expertise can help you mitigate, or even avoid existing and emerging grid challenges before they occur. GE’s Energy Consulting business FACTS and HVDC experts work with our clients early on in a project, often before it ever breaks ground, helping clients mitigate project risk and enhance cost management through proper technology specifications and sizing. Initial grid system planning and design studies can help clients identify deficiencies on their system, and determine the best equipment and system design options to mitigate the challenges, and meet their specific project goals. Proper and specialized system analyses are crucial for maintaining system reliability, efficiency and functionality. Detailed studies using electromagnetic transient simulations require highly skilled experts that have academic and practical understanding of the power equipment, power system operation, its protection and ways of appropriate modeling. These studies evaluate the potential for series capacitors to create SSR challenges on a given system, as well as suggesting potential mitigation strategies if challenges are discovered. This study shows the impacts on line distance protection. The results can be used to help determine the proper location of equipment while informing the adjustment of relay settings to ensure proper operation. Energy Consulting works with clients to use equipment measurements to analyze the causes of equipment failure during a grid disturbance and recommends possible mitigation strategies for potential similar future events. In addition system simulations can be used as a way of “testing” solutions without expensive or potentially destructive physical testing. HVDC systems are focused on moving direct current electric power over long distances. This technology is particularly valuable for moving renewable power from often remote locations where there is more wind and solar resource to large load centers that can often be hundreds or thousands of miles away in large population and industrial hubs where it is used. HVDC Systems enable the transmission of power over long distances while minimizing losses and helping to maintain the quality of the power available to the customer. It can also connect networks operating at different frequencies or that are simply not synchronized. This is TRUE! 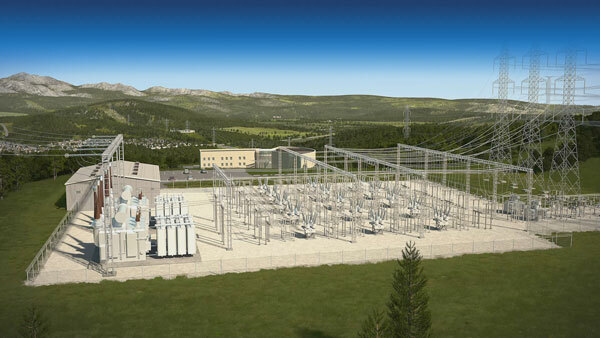 HVDC can transmit up to 3 times more power than the equivalent AC connection with lower losses and can support the networks to which it is connected providing reactive as well as real power control as required. The conversion to DC from AC eliminates the need to have synchronized networks. In some instances, such as bringing power from distant off shore wind farms via a submarine cable, HVDC may be the only technically and commercially feasible transmission method. Today’s transmission system is becoming increasingly complex and is expected to carry bulk power in ways it was never designed for. The expectation is that transmission requirements will only increase, as power generation sources continue to evolve. help utilities cost effectively increase the power transfer of their new and existing transmission infrastructure. are installed in series with the High Voltage transmission line, and consist of an integrated, custom-designed system with many power capacitors arranged in series and parallel. are made up of a series of technologies which offer grid operators the ability to provide VAr support, enhance controllability, improve stability and increase power transfer capability of AC transmission systems. Synchronous Condenser systems are essentially power generation systems adapted for and applied to the transmission system. They are a simple, proven and reliable means to increase the stability of the grid, by delivering voltage support and reactive compensation. They uniquely provide short circuit support and inertia, which is a feature that cannot be delivered by other FACTS technologies. SVC and STATCOM systems provide utilities and the grid with dynamic, variable sources of reactive power, which helps stabilize the voltage on the system, as well as helping smoothing out instabilities. One of the challenges of integrating large amounts of variable and intermittent renewables onto the grid are the voltage swings on the system that can result, along with occasional instabilities. GE’s SVC and STATCOM solutions are customized based on the utility’s technical and economic requirements for their network such as fault level and load. Classic SVC and GE’s patented Main Reactor SVC, which uniquely deals with harmonics mitigation, provides more design flexibility to ensure optimized system performance. Model-Based Design Control ensures optimal and accurate performance by direct deployment of the code into the system software. GE’s Utility STATCOM boasts the best operational performance in the industry because of its larger DC voltage source, which is 2X larger than competitive solutions.